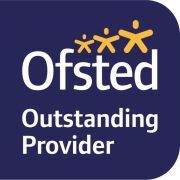 You will be joining a school where staff share best practice so that our standard of teaching and support is both high quality and continually developing. You will be part of the team with colleagues who are supportive and welcoming, and a staffroom social committee that organises various events as well as regular Friday evening sporting sessions for those with energy! Further information and an application form can be found below. Applicants may prefer to use the TES application form; this is an acceptable alternative.